This morning Spun and I went running in Seward Park. She heads down there most mornings for Southside Booty Camp, but they’re on break for the week, so the trainee became the trainer as she pushed me to run trails and keep up with her as we tore around fern protected corners and mossy bends. At one point, we were making our way around Owl Trail and were greeted by, you guessed it, an owl. We’ve seen them in the zoo, but never in the wild. What a stunning bird! The robins and other smaller birds were harassing him/her a fair amount so it took to the air and banked around some trees effortlessly to evade the airborne snacks. After a few nice strolling points, and a couple sprints, we made our way to the north shore, which is one of my favorite vantage points in the park. 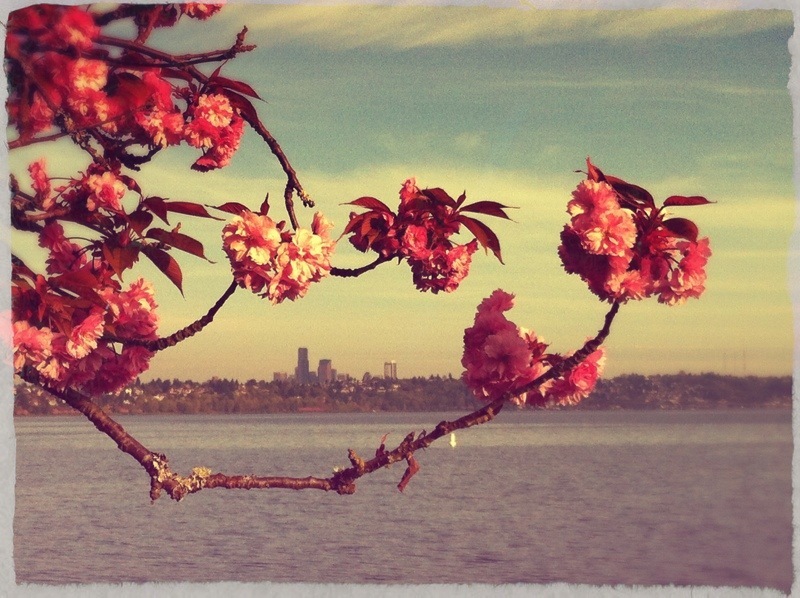 The blossoms are in full bloom and Spring is in full swing. Lots going on this week as well. My sister’s fiancé was promoted at long last (congrats Charlie! ), the Magnifying the Universe infographic from last week now has more Spanish users than those in the US, North by Nine is going strong, Spun is going through some great interviews for her dream job and will likely be delivering a baby this week. Oh and one of our dear family friends … or famship as we like to call it … is retiring tomorrow. Congrats!!! Things are really in full spring this week.